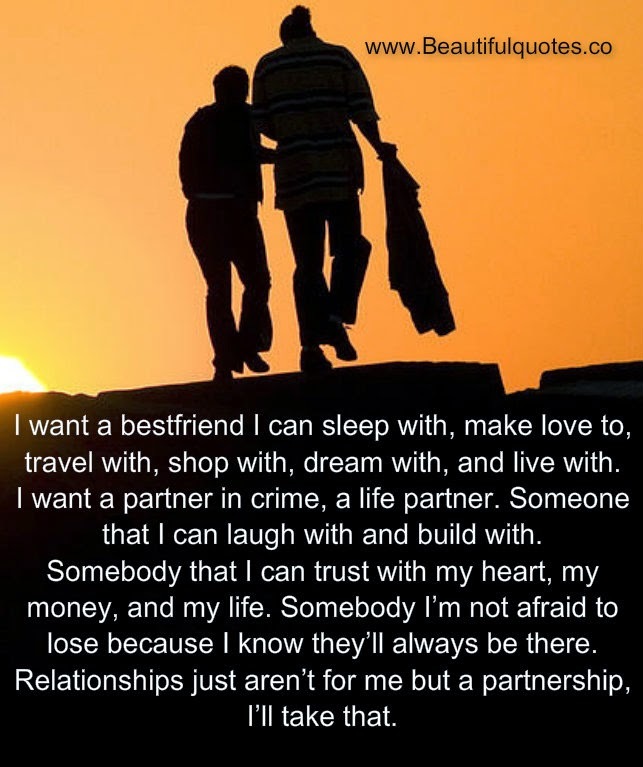 I want a bestfriend I can sleep with, make love to, travel with, shop with, dream with, and live with. I want a partner in crime, a life partner. Someone that I can laugh with and build with. Somebody that I can trust with my heart, my money, and my life. Somebody I’m not afraid to lose because I know they’ll always be there. Relationships just aren’t for me but a partnership, I’ll take that. “Friends are a strange, volatile, contradictory, yet sticky phenomenon. They are made, crafted, shaped, molded, created by focused effort and intent. And yet, true friendship, once recognized, in its essence is effortless. Everyone is someone's friend, even when they think they are all alone. If the friendship is not working, your heart will know. It's when you start being less than perfectly honest and perfectly earnest in your dealings. And it's when the things you do together no longer feel right.